It's 9:20 in the morning on a Tuesday, and the texts start rolling in. Madeleine: MOM. do u know where my safety patrol belt is? Madeleine: MOM!!! can u find it and bring it to me right now???????? i have a meeting at 10 and i have to have it. PLEASE!!! I finally got this strange feeling--was it all the "yelling" in capital letters?--and got up and checked my cell phone. And to be totally honest, reading through those highly punctuated texts, I had mixed feelings. My normal response to this kind of I-forgot-something hysteria is to reply with something reasonable, executed without excessive emotion (most of the time): I'm sorry, but that sounds like a personal problem. If you want to keep track of your safety patrol belt, I'm happy to help you come up with a system when you get home. I know, no awards for sensitivity, but it covers the you-have-to-be-responsible-for-your-own-stuff bases nicely, don't you think? Lately, however, I've been second guessing this hold-the-line approach, mostly because I'm watching Madeleine execute this same style of boundary heavy behavior on Carter and her friends when they are struggling to compensate for their own forgetfulness or normal kid mistakes. I'm watching her deliver these perfectly reasonable speeches about what she's willing to be responsible for (or not) and something inside me starts to cringe. It's not that I don't want her to master personal responsibility--believe me, I do. I'm just wondering if I'd do her a better service by trying to develop another side of her character in situations like this. What if I dove in more and offered a heavier dose of compassion in addition to a helping hand? Which lesson would be more valuable in the long run? Knowing it's your own fault when you mess up and being willing to absorb all the difficulties that go with that? Or being more aware that when you make a mistake, you can always reach out because someone you love will be there to help you? I know the answer is somewhere in the happy middle, but recently I've been experimenting with a sharp course correction in the other direction: zero judgment, more assistance and lots of compassion. I'm hoping that this might generate a little bit more connection, the next time someone smaller around here (or bigger!) needs some mercy over not being able to get it together. Yesterday I decided to give finding the belt an honest effort and when it was nowhere to be found twenty minutes later, I texted back. Me: Sorry, babe. Not seeing it anywhere. We can look together when you get home. She was fine with that, and when she got home after school, that's exactly what we did. I think I'll always be the get-it-together, do-not-complain-to-me-because-you-lost-it kind of hard liner with my kids simply because I do not want to be raising kids who are helpless or irresponsible, but maybe it's okay to also send the message that I'm here to pick up the pieces--especially during those times when our kids are already dealing with the disappointment or shame of not doing well in the first place. What do you think? Do you run your kids lunches to school when they forget them? Do you drop off the missing gym clothes? Or do you hold the line? I'd like to know. I am definitely the hold-the-line, get-it-together, find-it-yourself kind of mom. And my 13-year-old is ridiculously responsible (in a good way) and, frankly, more together than I am sometimes. I have never run a lunch, a violin, or an assignment left at home to school. I do think that I offer compassion when she is struggling with something or distressed because an item has gone missing or upset when she has left something till the last minute - while not bailing her out. I got tough with my 12-year-old after too many mid-morning "I forgot ..." phone calls that sent me running up to the school. There is still plenty that she forgets, but I think it's gotten better. I do however make her look for things on her own, because she is a "lazy looker" when this are right in plain sight! ok - here's how i try to circumnavigate the i forgot call. before they leave for school we go through the check list - lunch, homework, special clothes? good to go. there are a thousand ways to teach a child to be responsible but you have to help set up a system for success. if the call does come in and i am available then yes i bring it because i forget things myself. my eldest was incredibly forgetful but she slowly figured it out and at 19 she steps up to the plate because the message was always there to be respectful and responsible. my 16 yr old rarely forgets - same morning routine. M is 7 years old and I find making his forgetfulness and having him to accept personal responsibility the best way to go for our household. It's been my observation that unless I hold the line in terms of boundaries and personal responsibility, he will manipulate that into a form of neediness that I just can't and don't have the time for. Good parenting is knowing when to apply what when. 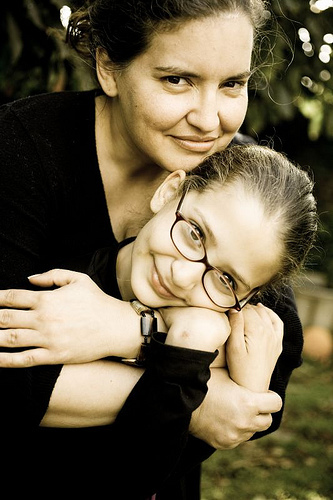 I think that your daughter gets it, however, now is the time to model compassionate behavior letting her know the rules (and Mom) can be flexible under certain circumstances. I think you were reading my mind. I have had the same attitude with my kids - since I have 3, I am not their servant and they need to be responsible. But lately, my 11 1/2 year old has been taking that tone with his younger brothers. And it did just that - made me cringe. I took a step back and try to breath a few times without being so frustrated when they forget things or don't do it the first time. I'm trying to help them find ways to better organize it or may reminders.I have to remember they are still children, a little kindness, patience and love will get me alot further in the long run. I'm trying not to sweat the small stuff and hold the line or other things that are more important....picking my battles so to say. Glad I'm not the only one who went through this. Hope it gets better. i'm a be responsible for your own stuff kind of mom. i have enough to do. i pick up after them all day long. sometimes i start to get really defensive about my time and energy going into keeping the living room picked up and neat because no one else that lives here seems to think it's important... i'm feeling this right now. can you tell? so i totally hold the line when they forget something or lose something. i have enough to be responsible for. they can be responsible for their own mistakes. i know i have to be! I admit, I bail my kids out whenever they need it. They are both very responsible and don't need it very often though. I want them to know that they can always rely on me. Teaching responsibility, and compassion together, a balance of what works in one situation, might not help in another. So its a 50/50 kinda thing for me. I decide when I want to hold and when I want to fold so to speak. If I weren't around, the world would be teaching, and well, rather they learn from me, then the world at large...its the responsibility of parents to raise productive responsible children. I love how we are able to revise our teaching methods when we see our kids imitate us in a "makes me cringe" kind of way. I have become a lot less judgmental after seeing my child tough comments on people. Anyway... I have bailed him out a couple of times, but also made it clear that it was not to become a regular thing. It hasn't. As long as I don't see him become lazy and take advantage of me and my good will, I am happy to help. I dont believe in "bailing" kids out every time they forget something they needed to bring to school. I think that sends the wrong message to them - that its okay not to be responsible because someone will do that for you. However... occasionally there might be mornings that just go horribly wrong and in the big hurry to leave the house and get them to school on time, something gets forgotten. This happens and in that situation I might help, it just depends on the thing forgotten and what I have going on. I just think it is up to us parents to send a positive message to our kids that they need to have their things together and ready to go. WE are the role models and while we should show compassion to our kids (because Lord knows I am not perfect)we also need to teach them personal responsibility and accountability. I'm a "tow the line" kinda mom. The way I look at it, when I was in elementary school, we didn't have cell phones, my parents had 1 car...and though my mom was a stay-at-home mom, the car went to work with dad on most days. So, if I left something at home, there was no way I was going to get it, because a.) I couldn't call home because the school didn't allow it (unless the nurse called because you were sick or the principal because you were in trouble, but not for something like a forgotten lunch or homework) and b.) my mother wouldn't have been able to get it to me and there was no way you were going to ask my father to leave work to come home and get it and bring it to me. Since both my husband & I work (across town from our kids' school) there really isn't an option. It's called reality - sometimes it hurts, but they know we aren't purposely being mean and that we still love them...they've learned how to model kindness and forgiveness from the friend who shared their lunch with them or the teacher who let them make up the homework assignment during recess. They also learn humility from these actions. Lessons I count far greater than the one they would learn if we were able to always bring the forgotten item. Somewhat tangential but my husband grew up one of six in a "No one is going to clean up after you" household. The corollary of "No one is going to clean up after you" is "You will never have to clean up after anyone else." This came to full flower when we were parents of a 15 month old. He didn't make the mess, she did and he wasn't cleaning up after her. Neither was he going to "help" (ie model) her. I grew up an only child and while I got plenty of lectures about personal responsibility, in a real emergency, my mother brought me the . I'm pleased that my now 15 year old daughter is usually very responsible, very grateful for help when there's a slip and very willing to help others. this is definitely providing food for thought. We've been struggling with our 10-year-old taking personal responsibility - well, not taking it enough. But from when our kids were little, we've said it's important to try not to say "always" or "never" about parenting. We used to do that all the time - before we had kids. So this 50/50 approach is a good one. And I agree with Cynthia - there's a down side to going completely either way. Thanks for being willing to share your uncertainty. Makes us all feel better, I think. At least, it's more honest. And I believe that showing honesty and showing our kids we struggle is the best kind of modeling we can do. It's about teaching boundaries. Teaching them that they are worth your help when you are able to provide it. But that they can expect disappointment when you are unable. And that both experiences are loving. Just an observation: They never forget their cell phones, do they? Childhood is the best time to learn to assess ones priorities and act accordingly. I try to think about it as if it were an interaction between me and my spouse. If I told him I forgot something and he said 'you should take better care to not forget your things' there would be some seriously bad feelings between us. I am of the 'I've got your back' opinion in terms of treasured relationships. Strangely, it reminds me of tossing a kid into the deep water and saying "swim." It is one of the few areas in which we expect children to display a skill that they haven't learned or else suffer the consequences. In today's world there are so many things to remember, that even most adults are dropping the ball. I think it has to be an individual call depending on the child and on the instance. If it's not coming from laziness, then maybe some organizational skills and strategies for coping with a heavy schedule need to be addressed. Even though I believe in natural consequences, I'm also all for mercy and compassion! Middle ground!!! I believe that compassion and sensitivity ALWAYS wins out in how to handle things. That doesn't mean that you always give in or let your child get away with things they shouldn't. But a child should always have his or her feelings validated. you may think it's helping her to be cold and hard nosed, but what kind of person will that make her? One who doesn't care so much about her fellow human beings? Who can't sympathize or empathize? Compassion is essential to becoming a good person and being emotionally neglectful isn't going to steer any child in that direction. I opened this story because I have grappled with the EXACT same thing. I was very often the get-it-together-or-suffer-the-consequences type with my son. But I noticed that, in my job as a flight attendant, I would see some of the most responsible, nicest, and even our best passengers leave things behind on airplanes that would boggle the mind -- laptops, suitcases, briefcases, wallets! I would move heaven and earth to get these things back to our customers. Sometimes I'd get a thank you, sometimes a letter to my boss, sometimes a gruff nod and nothing but my own satisfaction in seeing something go where it belonged. If I was willing to do this for them, out of a sense of compassion for the stress of travel, why wouldn't I do it for my son? Kindness is as important a quality as organization, is what I decided, and it's something my son obviously values -- perhaps more than I do, and perhaps I should think about realigning my priorities. How could I sit in my living room while I knew he needed the lunch or homework sitting on the table? I can't. I think I teeter in the middle, leaning towards the softer side on this particular issue. I will look for what they need and bring it to them if I can BUT upon delivery give them a lecture on responsibility and when they get home together we work out a plan so it never happens again (for a while at least). If something gets lost completely or broken out of their carelessness I am hard line in the opposite direction. I do not replace things they don't take care of properly. If it is something they are required to have for school or a team they have to replace it with their own money. I'm with Kim. I do both depending on the situation. I've found I can help my kids out when they ask and also help them get more organized so that next time they won't need me. If they reach a point where they start to take advantage (which has hardly ever happened), then I hold the line just as hard as I need to to turn things around. I admit that, as much as possible, I'm completely willing to run the forgotten lunch (or whatever else) over to the school. I do this because I am fully aware that the consequences affect not only my child, but the teachers and other staff who have to scramble to accommodate this situation. One time when they couldn't get in touch with me, the teacher shared her lunch with my 5 year old. Kind teacher? Yes... very much so. However, she shouldn't have had to sacrifice her own meal in the spirit of me teaching my daughter responsibility. At home, however, all bets are off. They spill it, they clean it! I'm a working parent, so my children know they have to be responsible for themselves most of the time--I'm just not able to drop everything and run to their rescue. But they're kids, after all, and occasionally they forget something truly important. In those cases, if I can help out, I do. When they come home that day, we talk about how to prevent this from happening again. This school year, I've dealt with precisely two forgotten instruments and one forgotten ID card. That's it. For me the really important thing is to help my kids develop responsible patterns of behavior. Everyone drops the ball once in awhile. I want my kids to know they can count on me in a pinch, but that those pinches should be few and far between. This is a good lesson for parents, because you are their model of behaviour. As you see, your modeling can have profound effects on your child's development. Balance is the key--which is why it is fine and normal to have a strict parent and a lenient parent. The opposing viewpoints provide the child with better understanding of the spectrum of human relations. It allows the child to choose his/her own path. I LOVE the answer Christine gave. Kids need SKILLS to navigate life. Reminders and "take responsibility for yourself" philosophy are fine but the reality is, we ALL need to have a plan, steps to follow as we work through any part of our day and in the larger picture, our life. While kids need to learn to be independent-it is equally as important-if not more so-that they learn to be INTERdependent. Responsibility is a valuable quality but having solid, trusting connections to those around you will make life much safer, healthier and profoundly more meaningful. It has personally taken me years of experience to get myself organized and responsible. YES, I drive their lunches and forgotten homework to school. They are very appreciative. Learning responsibility for your items takes practice. I'm not a parent yet (still about 6 months away), but I was a child once! I had two older sisters to use as models, so responsibility wasn't something my mother had to teach as much as it was passively learned. At the same time, if we really needed something we couldn't procure on our own, and my parents felt it was reasonable, they always helped us out. When I finished college I lived with my parents for about 3 months, and I felt the result of being raised to be independent with generous and loving parents. She never asked me to leave, helped me wash my work clothes when I was exhausted from a double shift and had to work the next morning, and I promised I would get myself out on my own. I never felt any push but my own. I think that's what the mix provides; the personal sense of responsibility without the bitterness of feeling all alone to work out problems. It's that age. My son was sooo responsible as a young child, and he still tries to be. However, kids in puberty are more forgetful. The last thing I want is for my child to appear lazy, aloof, overly dependent, etc., but I too have decided that I must find a softer side lest my child give up hope for compassion, community, forgiveness, and all the characteristics that keep us from anhilating each other. I've tried the "3 strikes" method; my two (now 14 and 12) have 3 "freebies" each for the school year, always dependent on my schedule that day (I do not leave a dentist appointment to bring gym shorts). After that, they know that the only excuse is that they were suffering from a serious internal hemorrhage that diverted enough blood from their brain to make forgetting inevitable. My pet peeve was actually "missing the bus"...that was the one I came down harder on, often (depending on the weather), making them walk to school with me with a note stating that they were tardy because they wouldn't get up even after an alarm clock and two parents told them it was time to get up. A couple of those walks and notes were enough to get my sleepy heads moving faster in the AM. But, on the other hand, cicumstances do have to be taken into account (as we would want them to be for ourselves); coming off of a bad flu, the death of a close relative or pet, or other upsets to the the family (divorce, move, etc) can make even a super-organized kid lose their calculator or their lunch box. My DD is 11 and we struggle with this issue frequently. When it comes to around the house - lazy looking - as one poster put it, I'm a hard liner. But that said, our mornings are hectic. We have chickens to take care of, other pets that need our attention and time seems to go waaay too fast in the morning. And while we prepare everything the night before, I understand completely if she forgets something - I forget things in the morning, and whereas I have the ability to drive home and pick up my computer/files/whatever else I may have left by the door, she doesn't. The responsibility comes from having to explain to the boss I'm late. But I'd rather have to explain that than sit at my desk without my computer and get no work done! I think for me, it's a justice issue - she can't drive so why should she be penalized for making a mistake that she can't fix? I'd rather teach her that it is possible to fix the inevitable error, than just let it be and stew in anxiety. I think they have enough stress already - I'd feel wrong in adding to it. It depends upon the age of the child, that particular child's track record and the importance of the item forgotten. As the mom of four, from 20-6, I know you have to make allowances now and then. Most of the time, the older they are, the more I have expected my kids to do for themselves. By the time they're a senior in high school, they're expected to be about 98% self-reliant. Even then, I've made a couple trips for one of those "I HAVE to have it" items. I think that for a kid who genuinely makes an effort to stay on top of things most days, showing compassion and consideration are not a problem. If my spouse called having forgotten something he needed for work and I was available, I would certainly make an effort to assist. It's what families do. Don't you feel better knowing you have someone in your corner backing you up when you have a bad day or screw up? If you're talking about kids who consistently screw up and are taking advantage of parents because they know they will always get bailed out, then of course you should take the dispassionate-and-clueless route. The natural consequences of disorganization will eventually fix the problem. Of course, as a parent it is your job to teach them strategies for being more organized. You can't just yell at them to stop forgetting stuff and think you've done your part. You have to use some judgment in parenting, not rely on one-size-fits all techniques. This is a great posting - a whole buffet for thought! I think I lean toward "compassion" as long as there aren't multiple offenses (kind of like the "three strikes" policy). My oldest DD is now 13 and she rarely forgets anything...lunch once and clarinet once this year and that's it. She doesn't have a cell phone (the school doesn't allow them anyway) so if she needs something she has to call from the office and before class starts. Otherwise, you take the zero for the day. On a related notion though...she seems to think that "personal responsibility" stops at academics. I am engaged in the Hundred Years' War trying to get her to put her laundry IN the hamper that is less than two feet away versus on the floor NEXT to it...keep your floor and desk clear (in other words, maintain your room). My laundry rule for her has become "if it's not in your hamper, it's not getting washed when I do the laundry; you'll have to wash your own." So far, my youngest, who will be 7, is a "people pleaser" and it's enough motivation for her to keep her room clean and remember all her homework just for the kudos (at least for now). In fact, there are times when she reminds ME to pick up certain things or pack certain things for school. In fact, she regularly tidies her room and/or reorganizes it (not always well, but she's experimenting). I just recently figured that out with my daughter who is almost 19! She had become cold and hard with her friends and family. She "lost" some money I'd given her to pay for her cell phone. I told her I forgave her, told her I'd no longer pay for her cell phone, and told her I'd never mention it again. I haven't, but that one act has opened the door to talking about grace, forgiveness, and life's natural consequences. She is quite rapidly moving into a more responsible and softer space. So they don't put their own things away, but then, neither do they put community things (like tape) away. So, when you as the mom need tape and ask where the tape is, only to be shut down and shut off without so much as an answer, what do you do? My five children range in age from 21 to 5 and have all grown under a prolonged especially strained budget. They are each responsible for a part of our house AND their personal messes (yes the five year old can take laundry from the bathroom to the laundry room or set the table) we have one car and NO extra money for a trip home to pick up a forgotten item but when I have money they know I will not hesitate to use it for their benefit I hold nothing back. I as their mother will show compassion in all areas that I can including bringing an important item to school (like a forgotten field trip form) even if it costs us money in work and gas if I can but they rarely need to ask. They are WONDERFUL and responsible human beings with a strong grasp on not just responsibility but also they work for the good of more than just themselves, showing pride in family accomplishments and working TOGETHER to devise ways to bring in their own income (my teens now go in pairs to take out trash or walk dogs for our neighbors during the daylight hours) they are creative and strong people who know they have the capacity to DO whatever they can dream up and make a plan for. They know that a single person can have a huge impact a are involved in many community and charitable events. I am amazed by them everyday and encourage you to be supportive in any way that you can AND expect the same in return from them. Every child wants to bring joy to their parents because it affirms they are good. All children are innately good and need affirmation of their goodness to develop a healthy self image. We all love our babies but sometimes we forget how very amazing they really are and underestimate their capacities. They will get hurt. It is our job to help them to see past their failures and learn that these too can be tools for future successes. "I'm sorry, but that sounds like a personal problem. If you want to keep track of your safety patrol belt, I'm happy to help you come up with a system when you get home." You call this the hold the line approach. "Holding the line" is not sarcastic or apathetic or cold. One can 'hold the line' as you call it by establishing boundaries via lovingkindness and compassion. Had you just relayed the 2nd sentence, I would have found that beautiful. Perhaps you cringe when you hear your daughter speak likewise, the same way I cringe when I hear self-righteous gilded sarcasm. As an adult who grew up with responses like you shared with us, I grew up understanding I could not rely on my Mom to be kind to me when I needed or wanted something. And if I couldn't count on my Mom to be kind to me when I needed or wanted something, why would anyone else be kind to me when I needed or wanted something? Point #2: Everything is a personal problem to the person suffering with a problem. It's impossible for it to be anything else. Thank you for a thought-provoking piece and for being so open and personal about an issue that plague only the few who are open enough to give it a second thought. Maybe a daily check list for the kids before they run out the door. Do a quick routine check before they head out the door. Have it hanging on or near the door. Update it before bed if there are special items to remember the next day.